This website acts as a point of contact for the AHRC funded (2007-2014) Portus Project. It incorporates a range of information relating to the site of Portus, our ongoing research (aims and objectives, interim reports and publications), and other related news items, as well as hosting an active blog post. 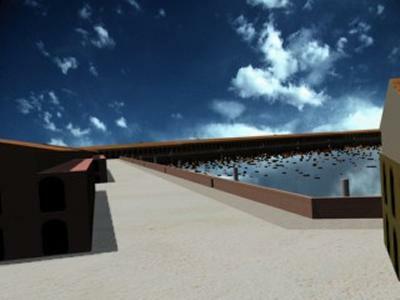 The project uses the results of research carried out at one of the sites, Portus, to disseminate the kind of archaeological information generated by the project and to allow visitors to see how project data can be integrated to produce an easily understood virtual reality model of the site. Computer graphics models were produced by members of the Archaeological Computing Research Group enabling a series of animated tours of the site to be produced, and a range of additional still images. The models produced will be steadily enhanced as further information becomes available.